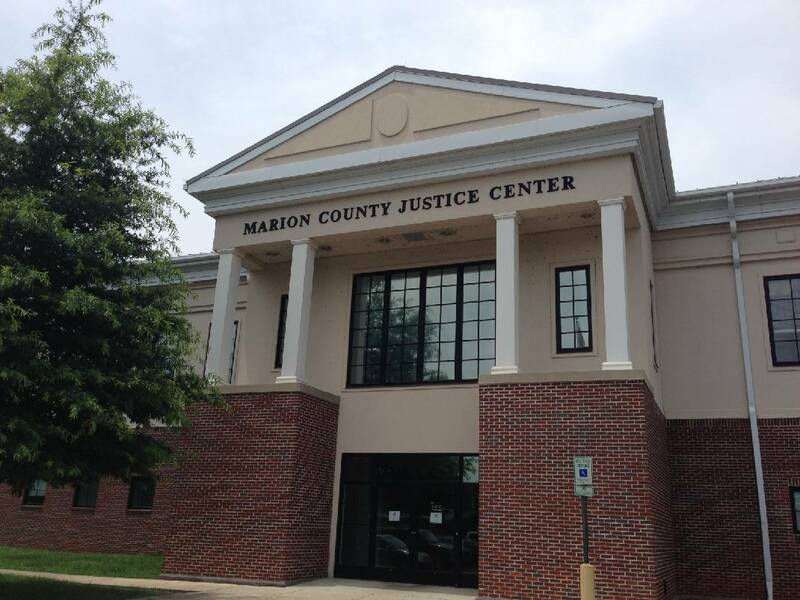 The Marion County Justice Center where the state leases office space for its probation department. Photo by Ryan Lewis /Times Free Press. Palmer didn't have a valid driver's license and couldn't be allowed to drive the girls on to school. When Palmer's husband, Brandon Palmer, and his father, Douglas Palmer, arrived, officers asked for a valid driver's license from them, according to the report. Douglas Palmer refused and began to argue with officers, using what Ladd described in the report as obscene language "with the children observing his every word and action," Ladd states. The man then accused Ladd of being "the cop that beat me up last time," and then started to take off his seat belt and get out of the car. Ladd said Douglas Palmer then grabbed at his waist, where the officer said he saw a fixed-blade knife in a sheath. A struggle ensued and the elder Palmer was disarmed and handcuffed. During a pat-down search and a search of the vehicle the two men were driving, the officers reportedly found drug paraphernalia in Douglas Palmer's pants pocket but no drugs. He ended up being booked on charges unrelated to the girls walking, officials said. Burnett said the case now is being investigated by the Tennessee Department of Children's Services, as well.